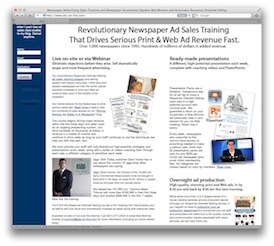 Driving Serious Newspaper Ad Sales: Presentation Packs are driving serious revenue! 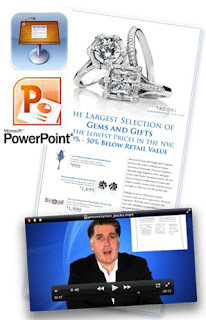 Presentation Packs are driving serious revenue! Congratulations to the Coeur d'Alene Press! They've now used my Presentation Packs service to sell three chiropractors on healthy 52x contracts and a realtor on a full-page 52x contract as well. All that for a $250/per month investment. As I suspected, if I can do all the work for a newspaper prior to the sales call for a high-potential account, and then walk the ad rep through the entire sales process via video, then they'll be more likely to go in and close the sale. As with any sales call, it's the homework, preparation, and working with the designers that takes the time that many ad reps and their managers don't have. So that's where I step in. The secret, I'm finding, is each week in your sales meetings, play the first video of me coaching the ad rep through the first sales call for that particular category and then show the time-lapse animation of me creating the strategy. Each video is around 3 minutes. Then, assign an ad rep to go out and conduct the first sales call, including lowering resistance (here's a video on it), transitioning into the Response Model to give the prospect religion, and then getting the right information. Each of these pieces are critical and I explain what answers you need to get out of the prospect to not only be able to return with a great ad strategy, but to be able to make an iron-clad case about size and frequency. Finally, make sure your ad rep is ready for the final presentation on the second sales call and send him out. If a significant sale isn't made, consider recycling it with another prospect in the same category and begin the process over. It's an easy way to drive revenue with a very small budget and also includes live Webinars. We'll even sell them for you at no additional fee. Call us at (631) 477-2505 for more info.